Welcome to the website for the Indigenous Farmworker Study (IFS). Here you will find information about indigenous peoples from Mexico who work in California’s agriculture. The Indigenous Farmworker Study is a partnership between a group of farm labor researchers and the Indigenous Program of California Rural Legal Assistance (CRLA). The California Endowment provided funding for the study. This website shares information and insights we learned about the history, languages, demography and culture of indigenous farmworkers, and outlines the economic and social challenges they face. 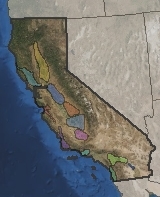 To get started you may want to click on the map of California and then on a region of interest to learn more about the indigenous in that area. 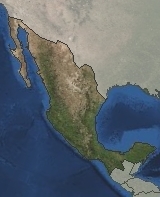 Click on the map of Mexico to learn where in Mexico the indigenous come from. You can also view short videos with six indigenous speakers sharing a little about themselves in their own languages, with subtitles in English. 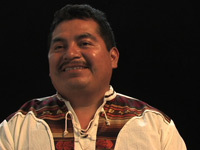 Click to view videos of indigenous speakers. We do not pretend to define a strict line between who is an indigenous Mexican and who is not. One soon discovers that it is not for outsiders but for the indigenous community members themselves to identify who is indigenous. We included only people from home towns in Mexico where the Native American language is still spoken. We limited our study to indigenous towns in Mexico whose people have a presence in California agriculture. In California, farmworkers in general, and the indigenous in particular, are undercounted by official census takers. Ignorance about the indigenous population—one of the poorest groups in California—has led to widespread unawareness of this community’s needs; service providers in some regions may even be unaware of the community’s existence. The language barriers and the unique cultural traits of the population make it critical that customized programs be implemented to accommodate the significant differences with other Mexican immigrants. The information on the website is presented without describing the methods of data collection or the process of analysis. For a complete explanation of the sources and methods please turn to the Full Report (pdf).